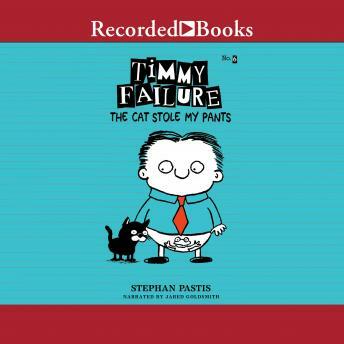 In the sixth book in Stephan Pastis's hilarious series, Timmy is being threatened and must rely on his new partner to solve the mystery - and possibly save his life! Timmy is in Key West, Florida, ostensibly for the honeymoon of his mother and Doorman Dave - if they even got married, which Timmy doubts. Unfortunately for Timmy, crime doesn't take a vacation. And because Total has fled to Cuba seeking political asylum, Timmy must rely on a new partner for help: Doorman Dave's nephew Emilio. Meanwhile, a surprise newcomer shows up in Timmy's life and, as if things couldn't get more hectic, Timmy's pants have been stolen by a six-toed cat.